Technology has managed to influence our lives in strange and exciting ways over the past two decades. Sometimes change can be terrifying and devastating, like the creation of technological waste that is quickly filling our biggest wastelands. Change can also be funny and surprising, especially when it takes the form of the autocorrect function that is present in each of our phones, quietly and frequently manipulating our words in order to fit what the program already knows. 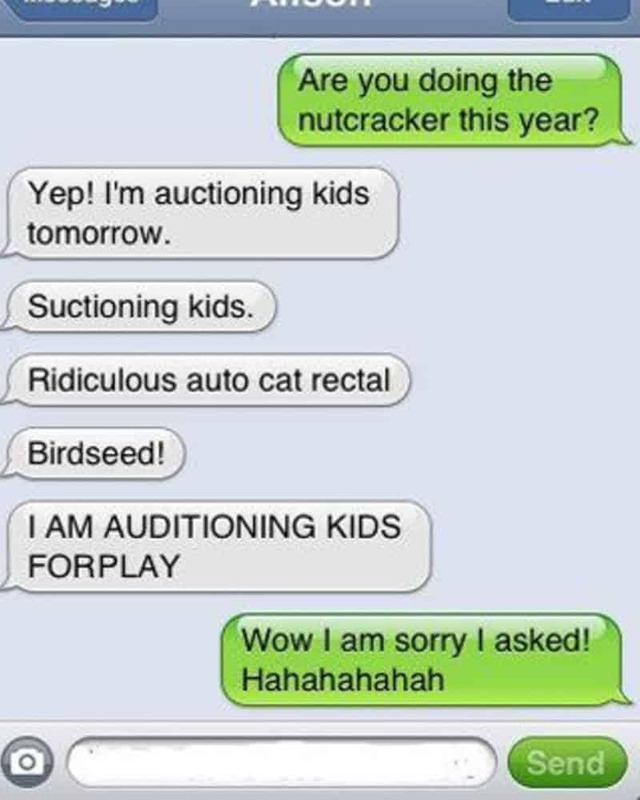 Here is a list of 20 conversations that would have taken an entirely different direction if it wasn’t for the always hilarious autocorrect function. 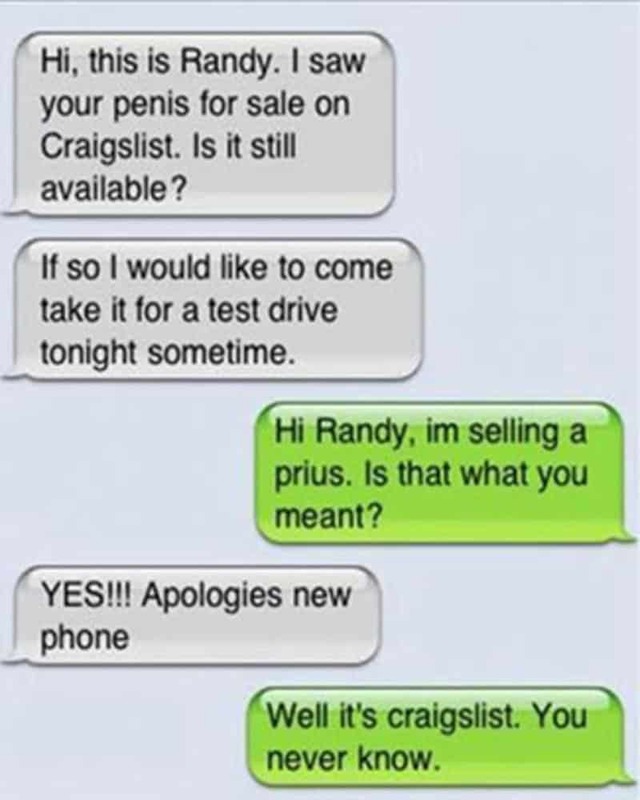 Picking up a used car will never be the same thanks to Craigslist and Autocorrect. Its tough to narrow down your favorite substitute word in this series of errors. I like crankshaft but Cranberry Jews is equally funny as well. 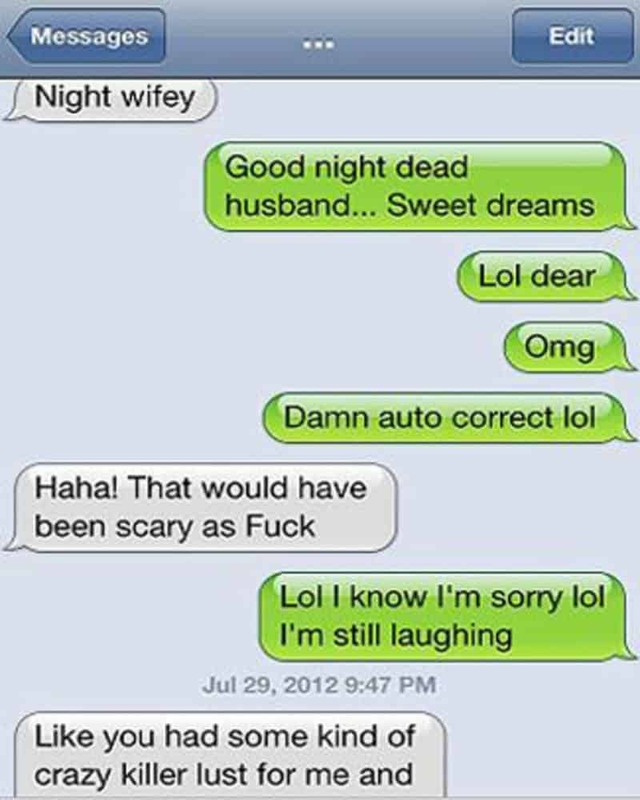 Being a spouse is never easy and autocorrect isn’t making things easier. Its tough to keep the peace in the family during Christmas time. Carrying drugs is one way of doing that. While it’s always nice to help out your mom, some things are better left alone. There are many ways to end a great first date. 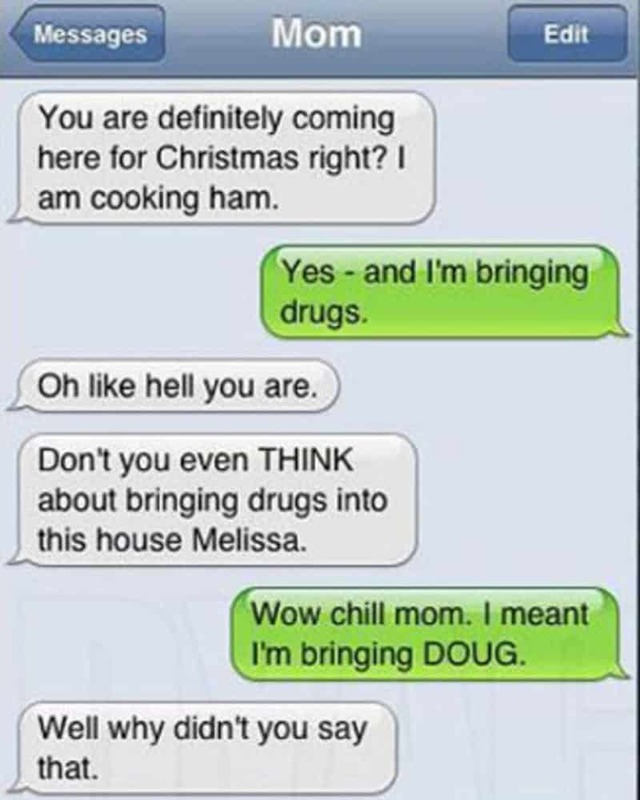 Making a messed up typo is not the best option for the situation. 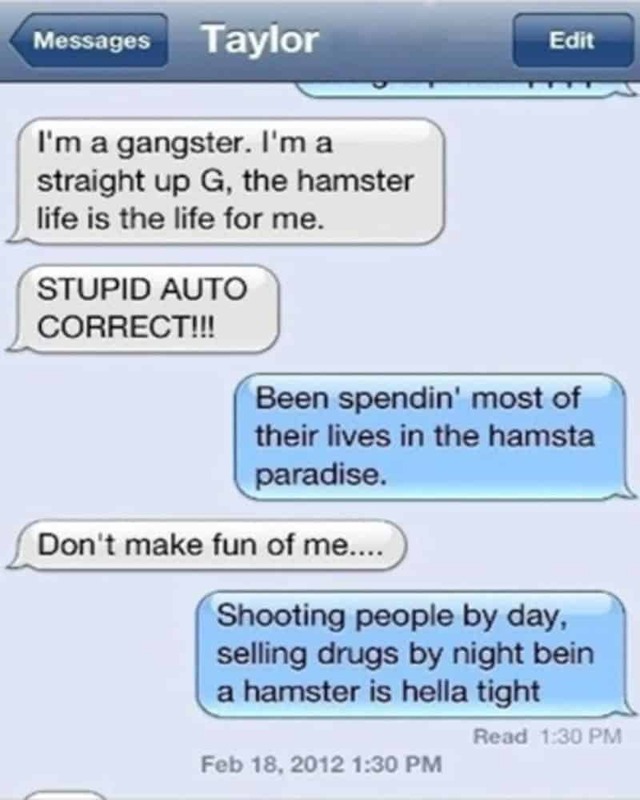 Being a thug and letting some sick rhymes do the talking for you is never easy when autocorrect keeps messing up your lines. 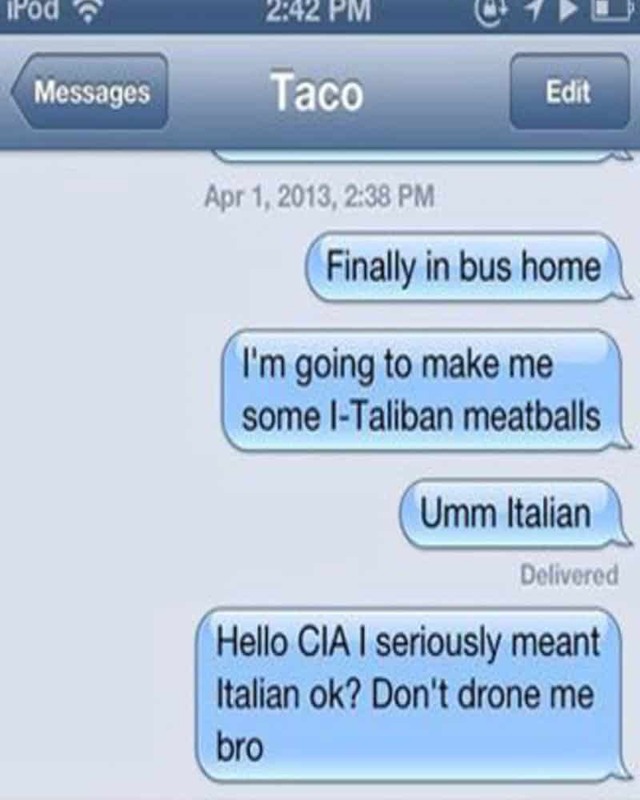 Autocorrect can be a serious threat at times, especially if the CIA is paying close attention. Buying your cat milk is extremely important, but this person seems to confused about the type of milk his cat needs. 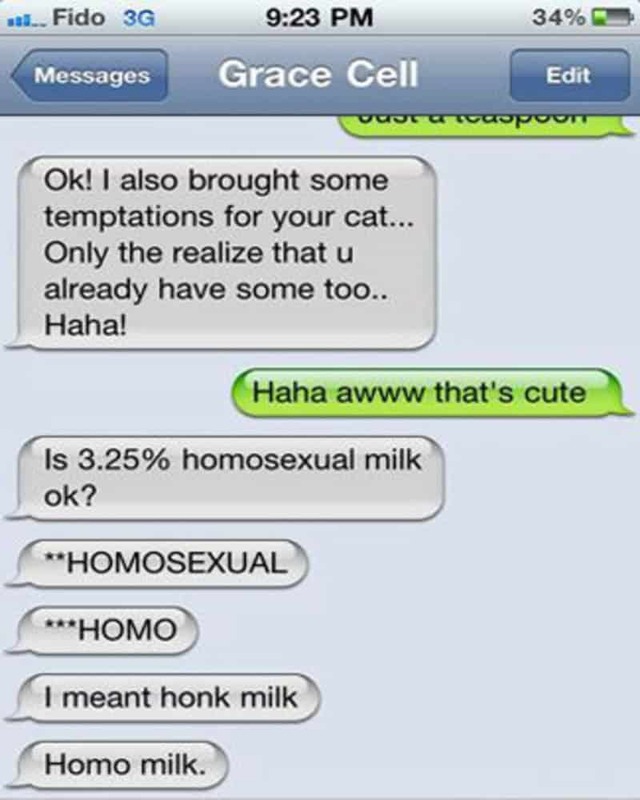 Honk milk is definitely the way to go though, my cat loves honk milk. It is always great when a relative is released from the hospital. 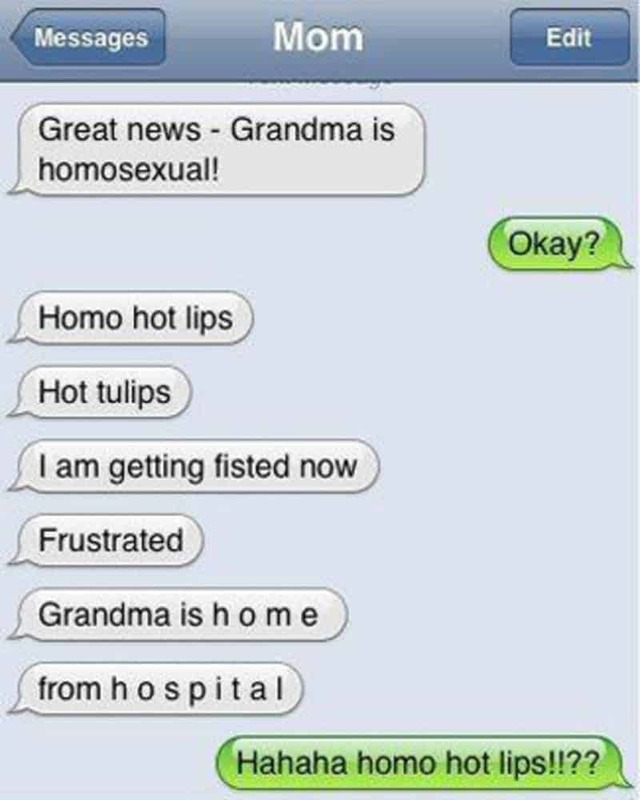 It can be so exciting that you could end up making some serious typo’s like this person. 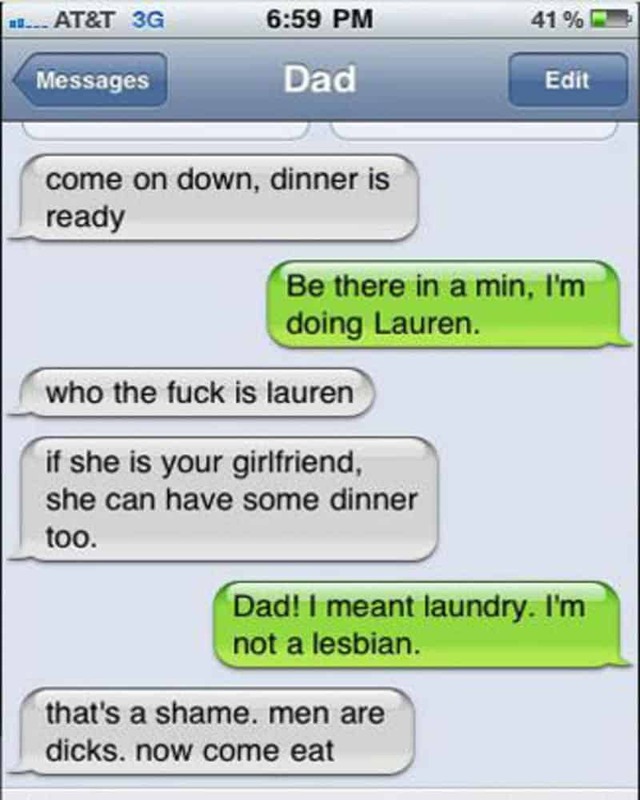 This dad totally owned the typo-ridden conversation with a line that rings true for all ages: Guys are dicks! It is tough to be in a long distance relationship. 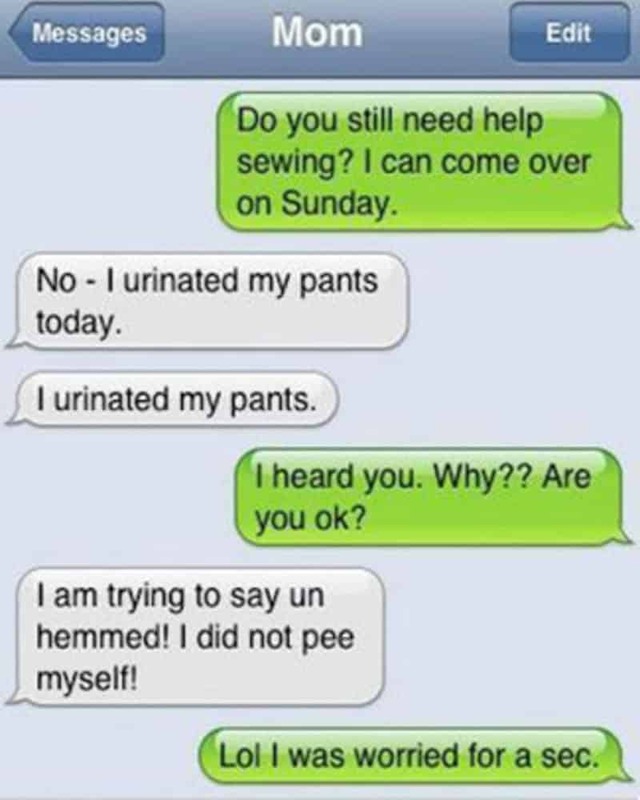 You need to do anything you can to make time pass when you are not together, even if it means embarrassing yourself with a hilarious typo whilst texting. 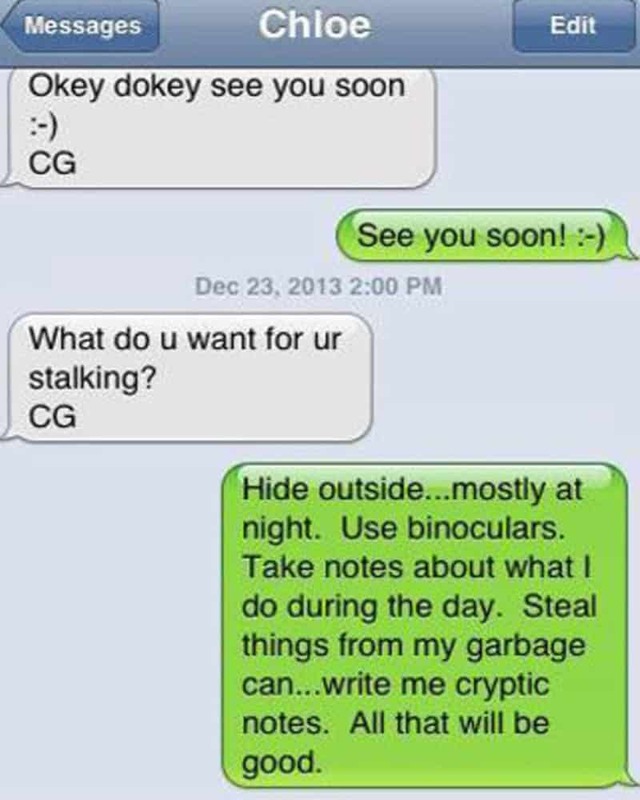 This conversation got really weird really quickly, even though they were just discussing a game. You have to be careful what you say around kids, or even about kids at times! 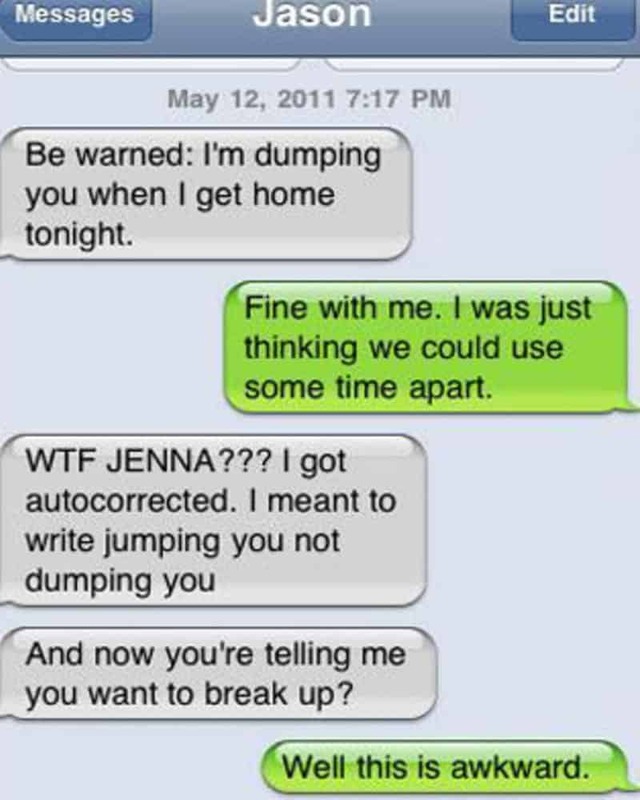 Don’t you hate it when a typo ends up accidentally ending your relationship? 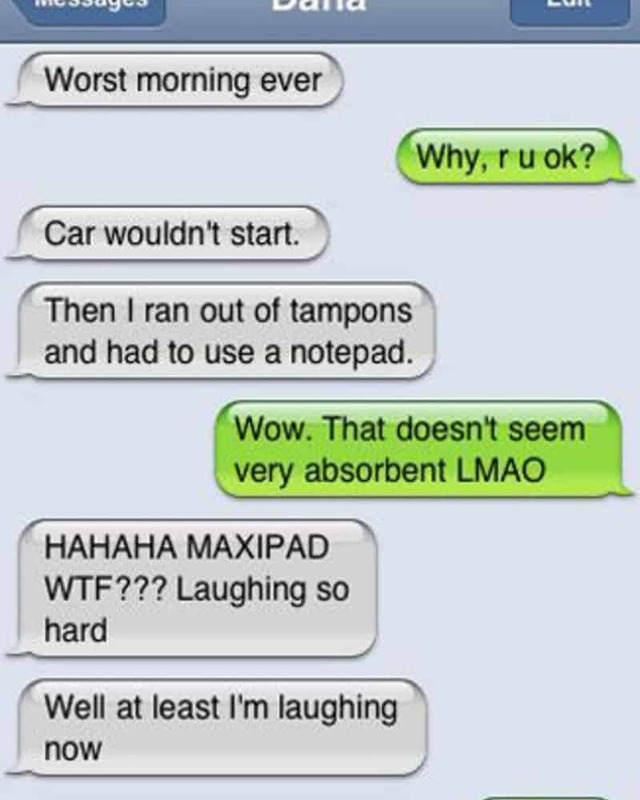 Women will take any chance to laugh out loud when they are in pain, even typo’s while discussing their pain will do. 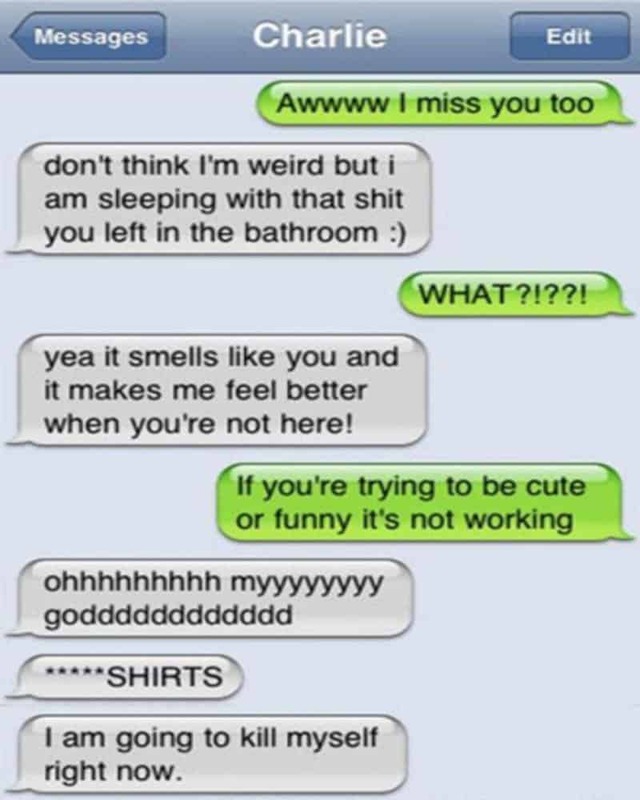 This has to be the most damaging typo of all time. 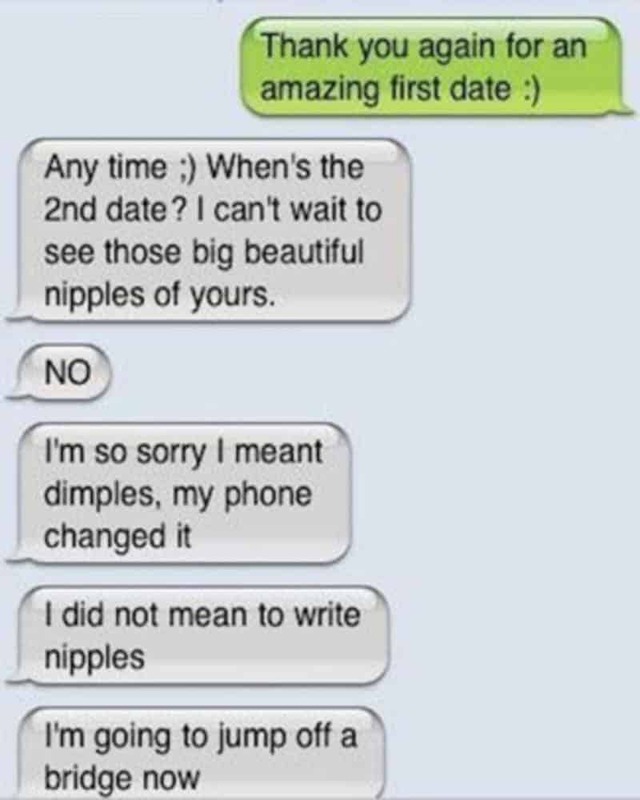 This one could have actually ruined a life! 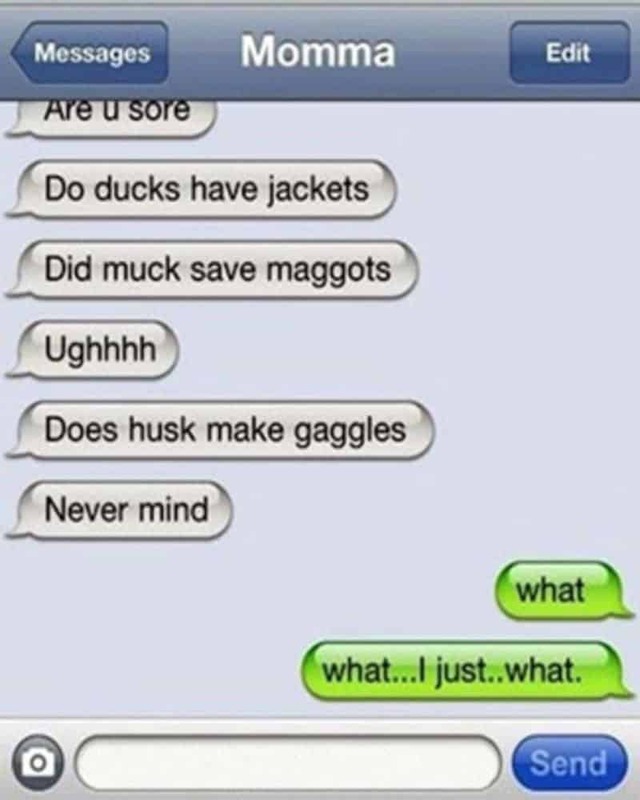 There are only so many typo’s one can make before they give up and hand in their Qwerty. This typo actually became funny thanks to the wit of the person who caught the typo and ran with it. 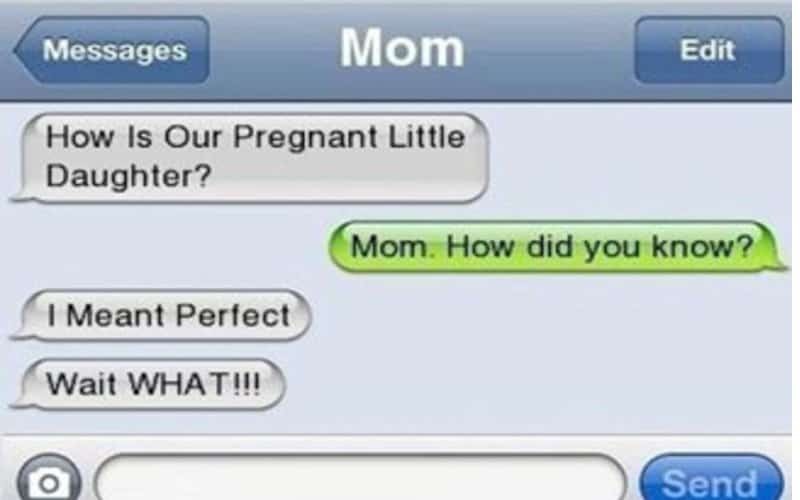 The best part about autocorrect is that sometimes it can throw up a word you have never heard before or a rare word you used only once. 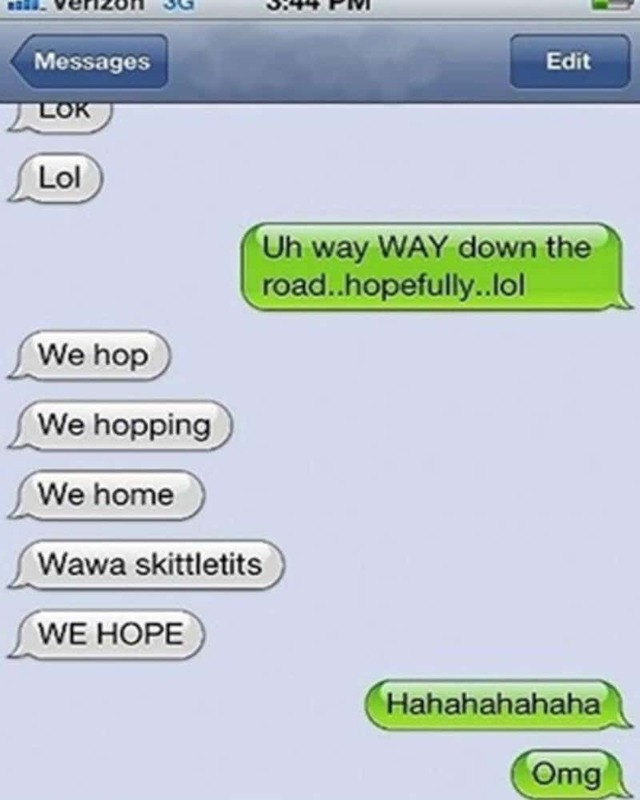 Wawa Skittletits just proves how great autocorrect can be!